You can use a Ouija board by yourself, but there are a few things you should consider before using it alone. The board is designed to be used by multiple people. Many believe the collective energy assists in establishing a connection with the spirit world. Before you decide to use the Ouija board alone for the first time, learn how to set up the room. You'll want to cleanse the energy of the room you are in by offering a prayer and asking for protection, placing crystals around the room or smudging. After cleansing, you are ready to conduct a solo session, completing the following steps. Choose an area where you won't be interrupted, preferably not a bedroom in case you connect with lower level spirit(s) that could interfere with your sleep. Turn off your phone ringer and vibration. Set the board on a table or other flat surface where you can comfortably reach it, and your arms can complete the full range of motion as the planchette moves around the board. You want the table to be of a height where you can sit comfortably with your elbows off the surface and your fingertips in on the planchette. Typically, a dining or card table or desk works well for this purpose. Since you don't have anyone there to record the letters as the Ouija board spells them, use a recorder - either freestanding or a voice recorder app on your phone. Start your session by placing your fingertips very lightly on the widest part of the planchette (base). Keep your arms off the table. Use your forefinger, middle, and ring fingers on each hand. Move the planchette across the board several times to build up enough energy through the friction of movement. 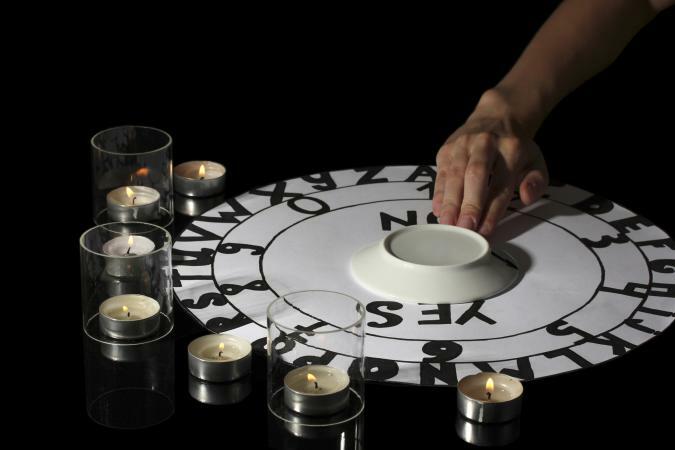 You can do this by swirling the planchette around the board using light pressure with your fingertips. Ask yes or no questions aloud for the best results in solo sessions. You certainly can ask questions with answers that are spelled out, as well, but this can become tedious when working the board alone. Therefore, be sure to ask simple questions, such as, "What is your name?" This will allow you to receive short, one or two word answers as opposed to long paragraphs, since it's easy to lose track of letters in long responses. Patience is needed when learning how to use a Ouija board by yourself. Because your energy isn't combined with any other, it may take 20 to 30 minutes or longer before your energy accumulates enough to connect with the board and spirit(s). When the planchette moves to letters or numbers, call them out so your phone or other device can record it. When you're ready to end the session, it is necessary to close it appropriately in order to shut any connection to the spirit world. This can prove to be the difficult part for many solo sessions and why many Ouija board practitioners advise against lone sessions. Psychics Directory advises you first request the spirits say goodbye, making sure to thank them for their time. 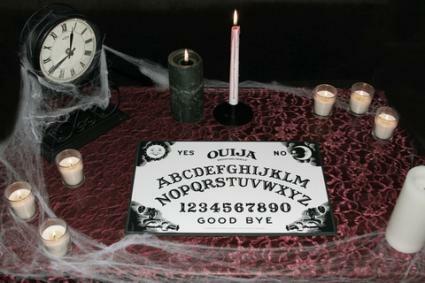 The spirits should move the planchette to Goodbye, and the session formerly ends when you close the board. After the planchette moves to Goodbye, you can further ensure the session is closed by turning the board over (so the letters face the table), or turning the planchette over on top of the board so the glass surface touches the board. However, some spirits are reluctant to leave and may not direct the planchette to Goodbye. In this case, you must manually move the planchette to Goodbye and be firm in informing the spirit(s) you are closing the connection and no longer wish to stay in contact. Use a simple statement, such as, "I am closing this session. You are not free to remain as our communication is now closed." Just as you opened the session by cleansing the room, you'll want to cleanse it when you close the session. According to Psychic's Directory, you can do this with a prayer. Make sure you thank the spirit(s) who participated. In addition, you want to ask the spirit(s) to be at peace and to leave you in peace. You can also use other cleansing techniques, such as burning sage and sweetgrass or placing cleansing crystals like clear or smoky quartz around the room. Be sure you follow the warnings for self-protection just as you would when engaging the board with several people. 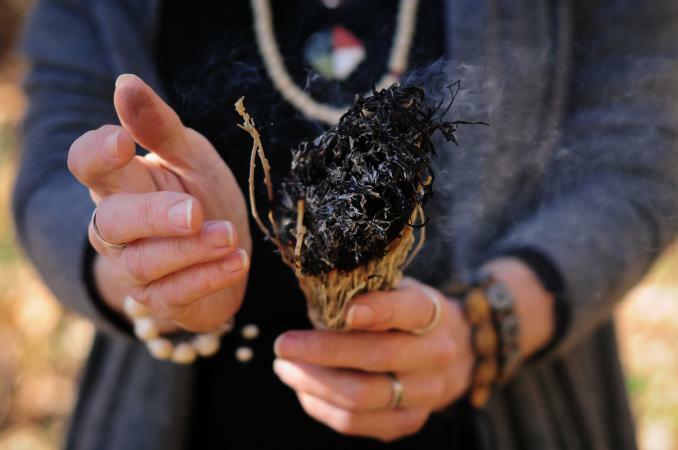 Guard against negative spirits by asking guides or angels for protection, using protective crystals like black tourmaline around the work surface, or diffusing sweetgrass oil. Light white or ceremonial candles to invite positive energies. Use religious prayers or recite verses that make you feel safe prior to starting your session. Wear crystals or spiritual/religious icons and symbols to give you confidence and support. Use sea salt to create a circle around the board itself or around you and the board to contain any spirits evoked and also protect you while inside the circle. There are a few potential challenges when holding a solo Ouija board session. Besides needing more spiritual protection when operating alone, you may not be spiritually powerful enough to conduct a session by yourself. This kind of personal power often take years to develop. If, after 30 minutes or so, you've not had any results, close the session as directed above (always close the session even if you think you haven't had results) and try again another time. Another challenge is determining whether the planchette is moving as a result of the ideomotor effect, which are small, unconscious movements of your fingers that cause the planchette to move. To guard against this, hold the tips of your fingers very lightly on the planchette - so lightly you could see a sliver of light between your fingers and the planchette if you shined a flashlight under them. Keep your elbows off the table for this reason, as well. A third challenge is a possible loss of control. It is essential you stay in control of the session the whole time. If something makes you uncomfortable or you feel you are losing control, end the session, close it as directed above, and invoke protection. While many advise against holding a Ouija board session by yourself, if you're spiritually strong and follow specific precautions, you may be pleased with your solo session. Never take short cuts and always protect yourself when using any spirit board.